Hello! Magnus de Lyons here, Gazette editor and proud inhabitant of the Kingdom of Æthelmearc. Our Kingdom is a vast and wonderful place filled with many happy faces, but how many of these faces do you see event after event and have never met or maybe wondered more about? During my reign as Baron of the Rhydderich Hael, we started a Baronial blog. One of the regular features of this blog was a “who-is-who” series of articles that featured members of the Barony. Each article introduced the person and asked brief questions about their SCA history and interests. 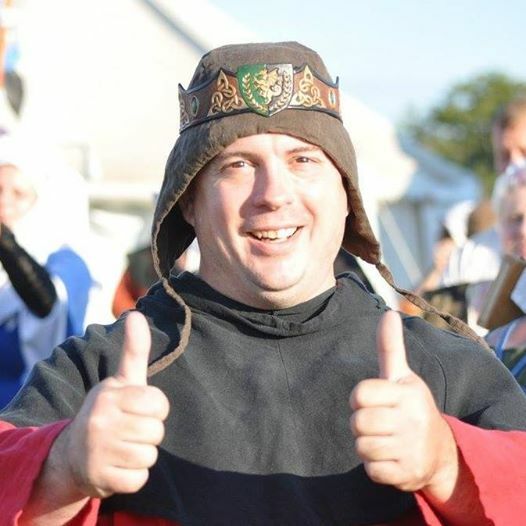 My time as Baron of the Hael is ending, and the blog is ending as well, but I thought the idea of the interview articles might have enough merit to expand them to the entire Kingdom. To that end I have decided to continue the project as a series of Gazette article and I am looking for willing participants. This is open to the entire Kingdom and is not limited by rank, position, or time in the SCA. There is no deadline, when I have submissions I will post articles. If you participated in the Baronial version of this you are still more than welcome to participate in this. If you are interested in being interviewed please contact me (information below) and I will send you a series of questions to answer. When completed return the answers to me. Please include at least one photo to use in the article. Answers with no photos will not be published. We are looking into an online questionnaire and will update that information when and if it comes available. I hope to hear from as many of you as possible and look forward to learning more about everyone! Read the Baronial Blog interviews here.